Former Bungie designer Niles Sankey is releasing an X-Files and Black Mirror-inspired first-person sci-fi thriller called Asemblance later this month. That’s another one for our upcoming PC games list. 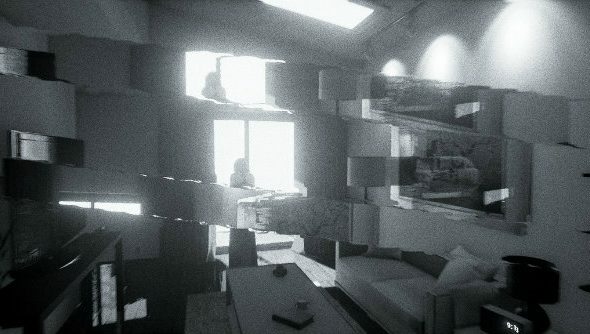 Asemblance is a psychological thriller that has you waking up inside an experimental machine that was built to simulate memories. Here you face your character’s past in a world where you’re never quite sure what’s real. As well as finding inspiration in TV, Sankey says the team also took some cues from a couple modern videogame releases. It sounds like it’s going to be episodic, too, with a line from Sankey’s blog post saying “it’s the first episode of an expansive franchise inspired by The Twilight Zone, The X-Files and the Black Mirror television series”. Don’t be put off by the PlayStation branding, as Eurogamer have confirmed it’s getting a simultaneous PC and PS4 release.